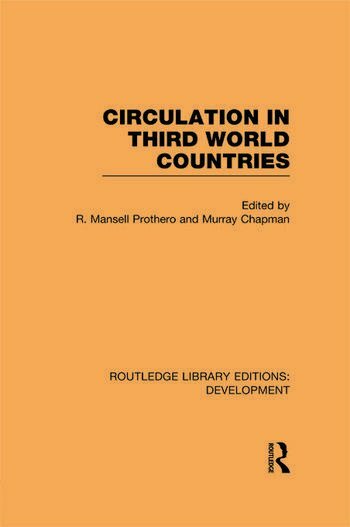 Circulation is common in Third World countries and involves reciprocal flows of people, goods and ideas. The essays in this volume, first published in1985, discuss concepts associated with circulation in its various forms, and they present empirical evidence based on field work from holistic, ecological, social, and economic points of view. Contributions from Latin America, the Caribbean, Africa, Asia and the Pacific come from an international group of authors representing a variety of disciplines in the social sciences. All who are concerned with social and economic development need to recognise the importance of circulation at all levels of society and polity.